Photo: Present Day Kramer Station. Eastern Mojave Vegetation Present Day Kramer Station. Annie Alexander and Louise Kellogg collected here on April 19, 1940. Photograph taken May 27, 2001. The nearby cemetary was erected in late 1920, for the workers who died while building the railroad. California Highway 58: Kramer Station. 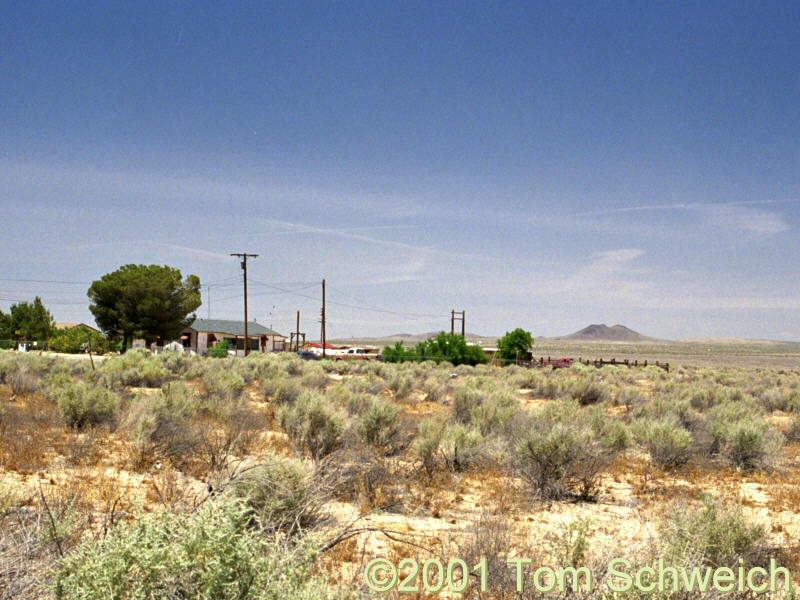 Other photos about Geography - Central Mojave or Kramer Junction.